facilitates the comparison between meters of different languages. 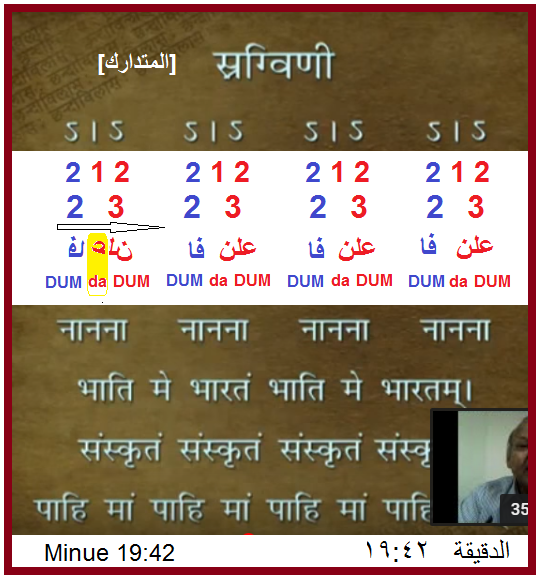 This is a self-explanatory example of scansion in Arabic Sanskrit and English. Arabic, Sanskrit, Latin and old Greek prosodies are Quantitative. English is a stress based language.